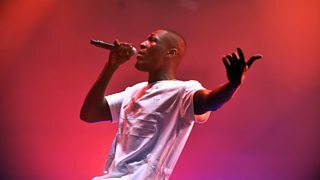 BBC Radio 1 - BBC Radio 1's Big Weekend, 2017 - Who's playing Radio 1's Big Weekend 2017? Who's playing Radio 1's Big Weekend 2017? Here are the amazing stars we've announced to perform at Radio 1's Big Weekend 2017 in Hull so far. So go on, take a look at our line up and get yourself worked up into a gigantic ball of excitement. Recently returning with new single ‘Chained to the Rhythm’ and two epic performances at the BRIT Awards and the Grammys, we can’t wait to see what Katy Perry has in store for her return to the R1BW stage. It's been a ridiculously epic four years for Little Mix since they made their Big Weekend debut in Derry-Londonderry. We can't wait for Perrie, Jade, Leigh-Anne and Jesy to return to the R1BW stage and set off the party in Hull. How much better can it get than seeing one of THE biggest families in rock? 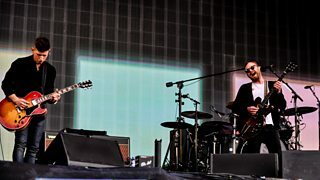 The Followill boys are now seven albums in, hot off the back of latest LP 'Walls' we just know they're gonna smash it in Hull and how can they not when they've got tunes like this? There's no chance of grime slowing down in 2017 and you can be sure Stormzy is gonna keep raising things to the next level. Could the man of the moment steal the show in May? We think he might.